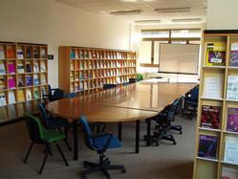 ICS is a think tank on the communication of science set up in 2003 in the Interdisciplinary Laboratory for Natural Science and Humanities at Sissa in Trieste. The main focus of ICS is to debate theory and practice in innovation in the communication of science. Over the years, ICS has proven itself as one of the few Italian groups focused exclusively on research into science communication. Through its wide circle of members from different cultural and professional backgrounds, ICS has promoted and conducted studies on national and international levels regarding the circulation, dissemination and appropriation of knowledge in the medical, scientific and technological fields. ICS was part of ESConet (European Science Communication Network) and coordinator of SCIRAB (Science in Radio Broadcasting) e DOTIK (European Training for Young Scientists and Museum Explainers) projects. It was among the partners of GAPP (Gender Awareness Participation Process) and actually it coordinates BID (Brains in Dialogue). All these projects are funded by the European Commission. The main aim of ICS group is to contribute in the definition of the science communication ecosystem in the knowledge society and in the development of a successful dialogue between science and society. Even without completely loosing its commitment to research, in 2010 ICS redefined its area of action and its structure. Its activity is actually focused on editorial initiatives, events organization and partecipation to specific research projects. ICS steadily contributes to the production of JCOM - Journal of Science Communication (http://jcom.sissa.it) and to the organization of the National Italian Conference on Science Communication.